By now you are aware that I am a sequins fan. I prefer vintage but it's very hard to find good ones with all of their sequins intact. 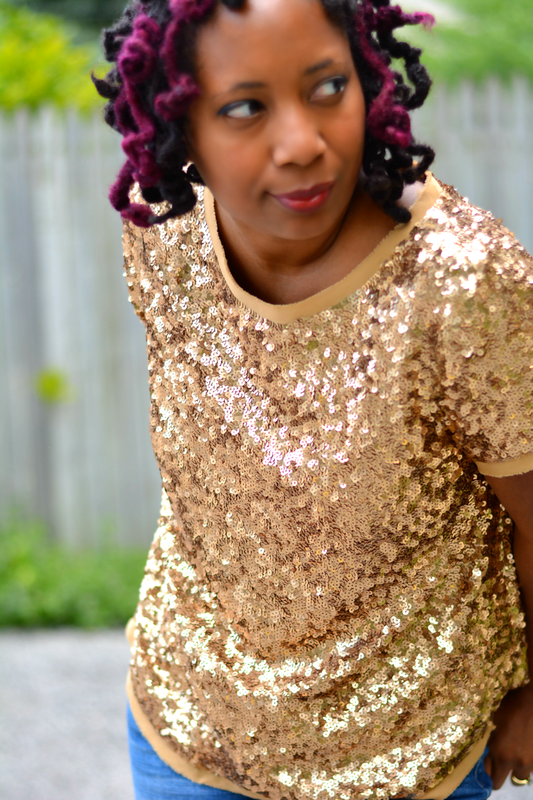 Not only did this top come with perfect sequins, it came with a bag of replacement sequins! I found this one during my Atlanta thrift haul so it gives me hope that I'll continue to find more great treasures in my new city. I always feel weird when I admit that I'm a Talbots fan. It's so classic and classy. They make good clothes that I associate with straight laced corporate life which is not my flavor or lifestyle. It's not the brand that I have pictured in my head though. They have lots of fresh and interesting pieces on the website. The price is worth it if you're not the thrifting type. My love affair started with silver flats I scored at Marshall's for $20. I wore those things out but it took a couple of years of frequent wearing to get to the beat down point. I wanted a pair in every color. I wanted them to be my signature shoe. Sadly, I have yet to come across a pair in my size and at that price since. It's a thrifting white whale. Joe's Jeans in my size used to be hard to come by too. Once I found the first pair, I started to find more. Funny how that works. I have such an overflow that I was completely nonchalant about performing the big chop on this boot cut pair. My only worry was cutting them too short. I think I got it right though. They're not sexpot short and the shape of the jeans makes them look casual. As casual as one can be wearing sequins and high heels. What's your thrifting white whale? 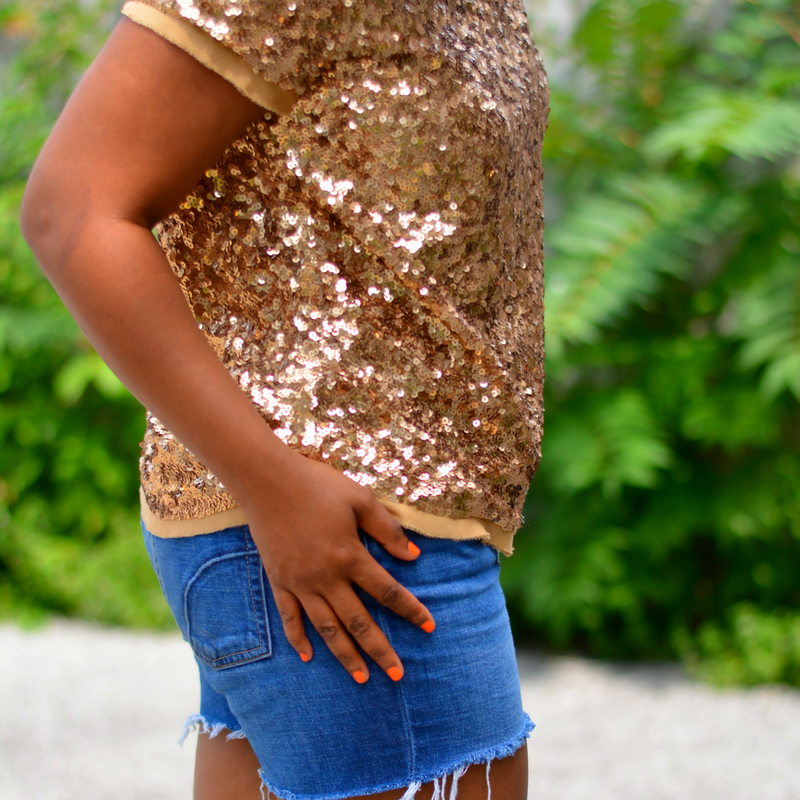 Love how you made the sequins looks so casual with your shorts. Pretty top, what a great find! 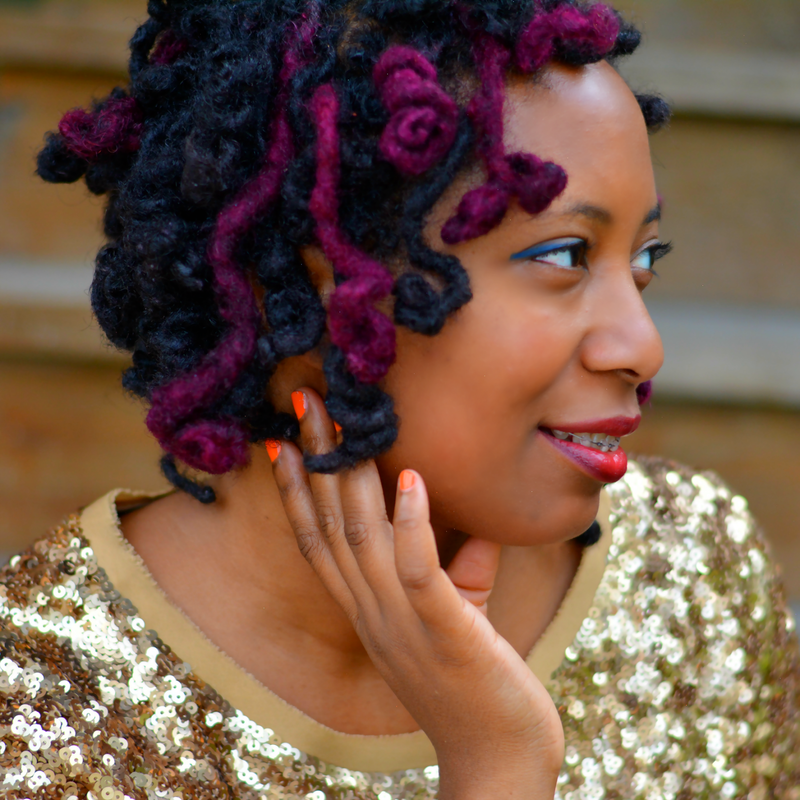 I love the idea of mixing the glam sequins with the casual denim! Amazing thrift find too! My white whale... something Chanel in good condition for under $20! I haven't spent much time checking out Talbot's. I am feeling that sequin top though. That's a winner. 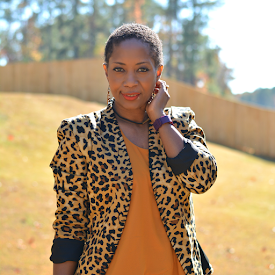 Anything my size J Crew is hard to find, and makes me keep looking...love that top!